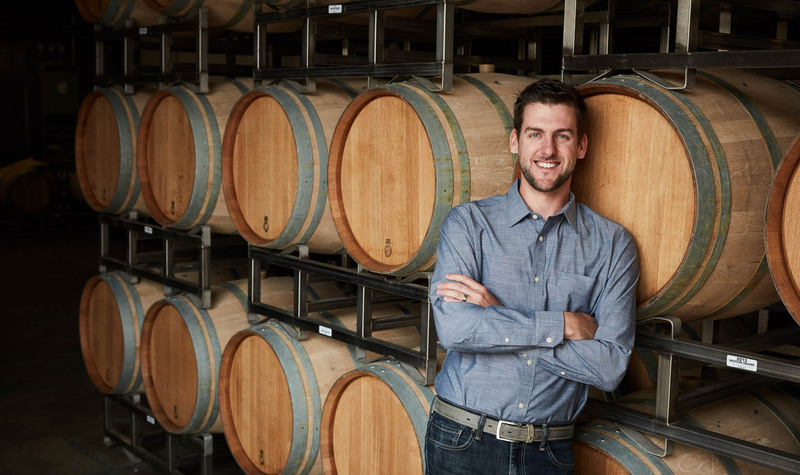 John Duckett was promoted from Enologist to Assistant Winemaker at Jordan Winery in 2016. He works closely with Winemaker Rob Davis and Associate Winemaker Maggie Kruse to produce Jordan’s elegant, age-worthy Chardonnays and Cabernet Sauvignons. After graduating from University of California at Davis with a degree in Viticulture & Enology, Duckett worked a summer internship at Jordan in 2009, after meeting Kruse at a UC-Davis Career Fair. Both had previously worked at J Vineyards & Winery at different times and shared similar interests and work styles. Duckett quickly demonstrated a commitment to quality, strong work ethic and great attitude, which led to his full-time hiring at Jordan a few months later. As assistant winemaker at Jordan, Duckett works closely with Kruse to manage all aspects of quality control in the laboratory and cellars, such as fermentation monitoring, tank and lot organizing, bottling, labeling and cork selection. Born in Monterey, Calif., in 1987, he moved to Santa Monica with his parents, where his father finished a medical residency at UCLA. The family relocated to Santa Rosa in 1993, and as Duckett grew older, he became exposed to Sonoma winegrowing. Initially, his lifestyle focus was on the outdoors and sports, including swimming, skiing and snowboarding, and working for the Vineman Triathlon. A competitive swimmer in high school, Duckett committed to joining the UC-Davis team in 2005 but later decided to focus on academics and the overall college experience. He enrolled in a UC-Davis viticulture class taught by Dr. Larry Williams, and in 2006, Duckett took a summer job at Korbel Champagne Cellars in the Russian River Valley, working in the cellar and charged with the necessary, yet unglamorous, cleaning of tanks and dragging of hoses. It was all part of the path of becoming a winemaker. While at Korbel, Duckett was exposed to beer brewing, and it enhanced his fascination with fermentation science. He enrolled in as many wine classes as he could at UC-Davis, and made Viticulture & Enology his major at the end of his sophomore year. At Jordan, one of his intern tasks was assisting our Ranch Manager Brent Young with soil mapping to determine the best soils for producing the highest-quality fruit from the estate. Duckett and Young tagged rows of vines in blue, yellow and red, according to GPS (Global Positioning System) and soil maps, and found, after tasting the grapes, that a single row of vines could be split into four or five different partitions. The information, which continues to emerge, allows Jordan to microfarm according to soil type and water-holding capacity, giving each vine the specific care it needs. After a stint at Delegat’s Wine Estate in New Zealand, and another harvest at Jordan, Duckett was hired as Enologist in 2010, and promoted to Assistant Winemaker in 2016. He lives in Santa Rosa with his wife and two sons. When he’s not at the winery, Duckett enjoys traveling with his family, exploring the outdoors, and if he has time to himself, brewing a fresh batch of beer in his garage.